Saudi Agriculture and Livestock Co (SALIC), an arm of the state-owned Public Investment Fund, is looking to buy land in Sudan to grow fodder, after purchasing a 20% stake in a Brazilian beef exporter. Saudi Agriculture and Livestock Co (SALIC), an arm of the state-owned Public Investment Fund, is looking to buy land in Sudan to grow fodder, chief executive Abdullah Aldubaikhi said in an interview on Saudi-owned Al Arabiya TV on Thursday. He was speaking the day after the company announced it had signed an agreement to buy a 19.95 percent stake in Brazilian beef exporter Minerva Foods SA for $188.4 million. SALIC has targeted investments in beef and eight key crops, including wheat, barley, corn and soybeans. The Minerva deal follows its decision in April to team up with U.S. grain trader Bunge Ltd to create G3, which bought 50.1 percent of Canadian grain handler CWB for C$250 million ($180.3 million). The kingdom lifted a three-year embargo on beef imports from Brazil last month, imposed after a case of atypical mad cow disease, or bovine spongiform encephalopathy (BSE), was diagnosed. Prior to the ban, Saudi had been one of Brazil’s most important markets for beef. 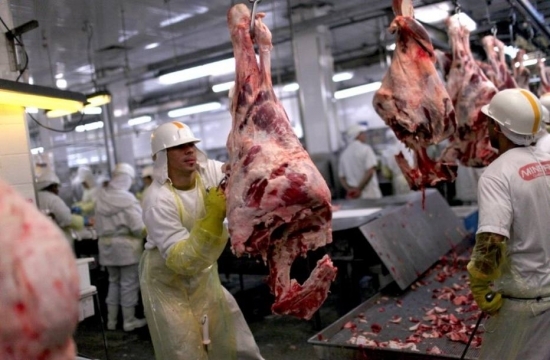 SALIC is looking to create a company that distributes meat, and this was among the main reasons behind the Minerva transaction, Aldubaikhi said.